If you're into health and beauty there is a good chance you have a skin care routine you follow religiously every morning and every evening. 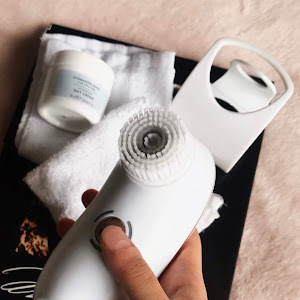 Having a skin care routine is important in maintaining healthy and hydrated skin, we buy an abundance of products targeted at different skin care issues and promoting healthier skin, but how often do we buy specific body care products? How do you decide which lotions and potions to buy for your body? Scent? Pretty bottles? 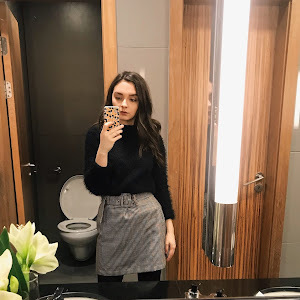 Brands? How often do our body care products actually benefit our skin? 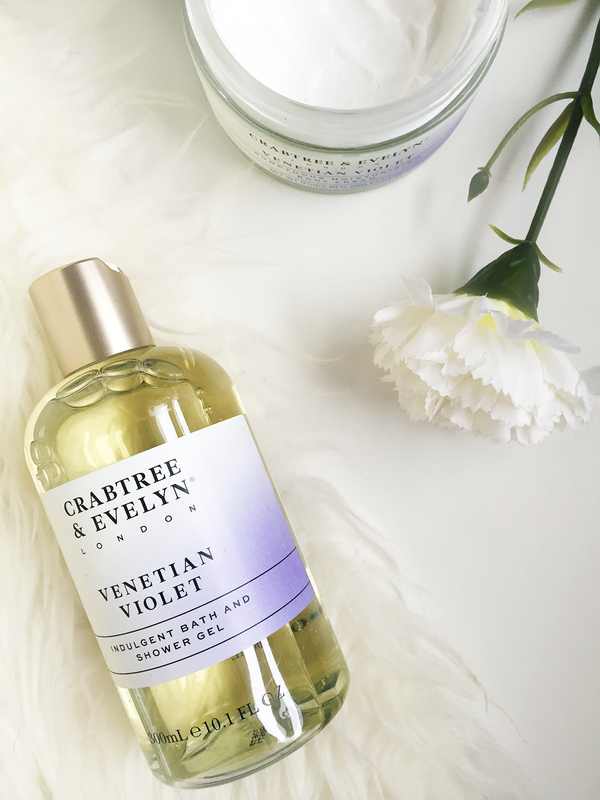 There are so many body care products out there on the market that are created specifically to benefit our skin, but we don't tend to go looking for them because we want pretty packaging, scrumptious scents and brilliant brands. What if I told you that you can have all of the above while using products that truly work to help your skin? 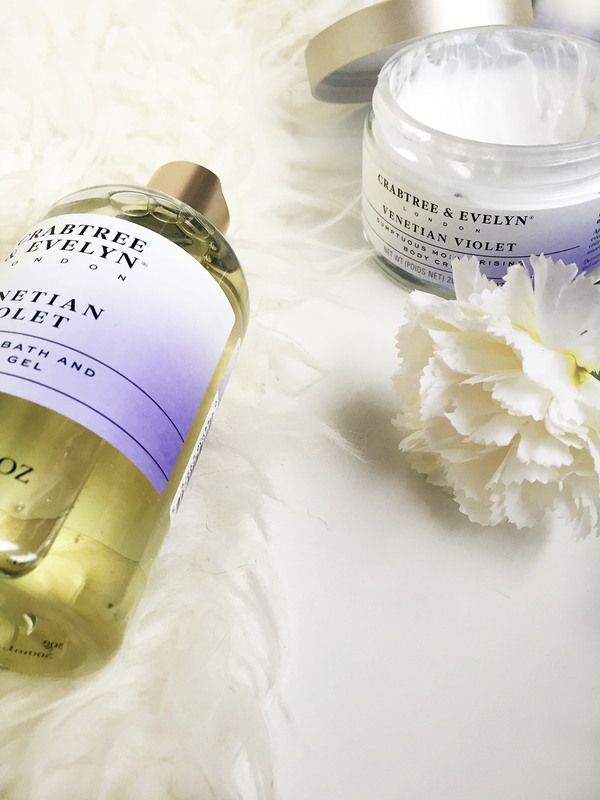 Crabtree and Evelyn are a renowned brand, they create products with many beneficial ingredients creating delicious scents which are perfectly packaged and I recently discovered how perfect some of their products are for me. 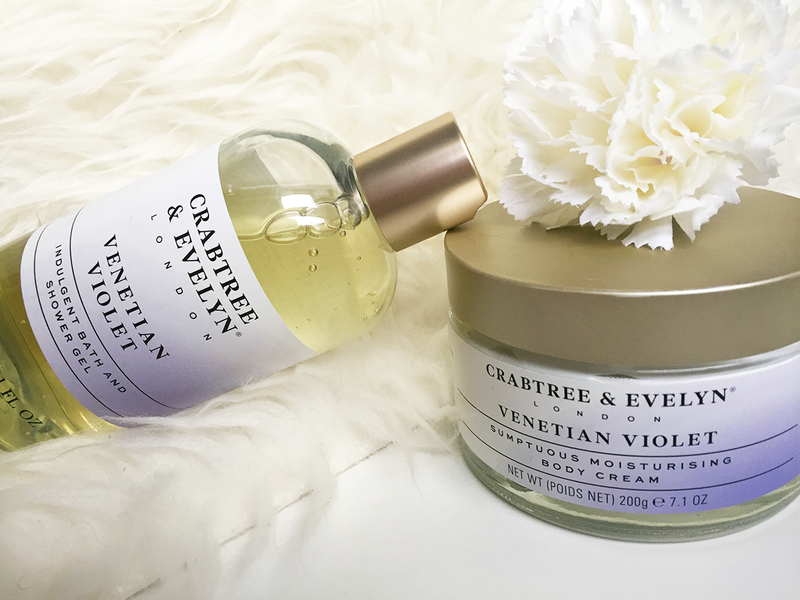 Upon the release of their new Heritage Collection, I found products which are everything I need and am looking for when it comes to bath and body care; their Venetian Violet bath and shower wash and body lotion. The luxurious products smell so beautiful I wish they could make a perfume version, in fact, I am 100% sure it smells identical to one of the Hollister sprays I was obsessed with as a 16-year-old, I just can't put my finger on which one. The packaging is absolutely stunning and definitely the ones you'd have on display in your bathroom and not hidden away in your skincare cupboard, very classic and chic. So how exactly are these products better for my skin than any other old body care products you can pick up in Boots? Well for a start they include a trio oil blend of moringa, evening primrose and rosehip, three very beneficial oils which work wonders for your skin. When looking for skin care and body care seeing any of these oils in the ingredients means that your skin is going to completely transform at the hands of the product. Moringa oil has many benefits from reducing wrinkles, preventing sagging and overall just slowing down the ageing process of your skin with its anti-aging properties to creating a natural looking glow from within by purifying the skin, this again can add a youthful look to the skin. Lastly, moringa fights bad skin by creating a healthy environment for skin cells this prevents acne, blackheads and those raging spots we all hate. Evening primrose is something women can use to tame their period pains and PMS, but that isn't all it does, it is hugely beneficial for your skin. Just like moringa oil, evening primrose oil fights skin problems such as acne. As well as this evening primrose oil is also incredible at hydrating skin and creating supple, fresh and youthful skin while keeping dry, cracked and unsightly skin at bay. Just like evening primrose oil, rosehip oil is intensely nourishing and is perfect for keeping dry skin at bay while hydrating skin to perfection locking in the moisture to prevent future dry skin outbreaks. When it comes to using rosehip in body care products it has the ability to nourish and heal scars including stretch marks, burns and accidental falls, as well as this rosehip can be used as an after sun, so if you have a body lotion packed with rosehip slather it on after you've been in the sun and cool down your burning hot skin. I have been using these products for around a month now and I can definitely say my skin has benefited exceptionally from using them. I like to apply the body lotion to my loofah and exfoliate with it, it doesn't irritate the skin like some products may and instead, it cleanses the skin leaving it supple, soft and incredibly hydrated. After each shower and each morning, I apply the extremely nourishing body lotion and it gives my skin such a natural glow from within, it almost looks like I have applied some highlighter to my legs even hours after the product has dried in my legs still look glossy and glowing. I have found my skin has been lacking any dry patches since I began using both products regularly, I don't experience dry elbow and dry knees like I used to, instead my skin is supple, plump and hydrated af. 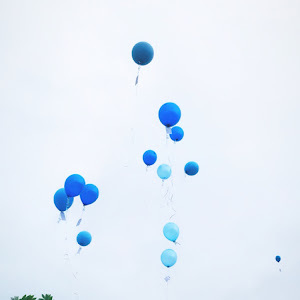 Further, my skin is feeling so much more fresh and healthy, I haven't seen a massive change when it comes to stretch marks, the small ones I have haven't shrunken or faded, but maybe over a prolonged period of time, they might. A small scar I have on my shin from a dog bite, however, has stopped flaming up like it used to every so often, which I think might be down to the cooling aspect of the body lotion. 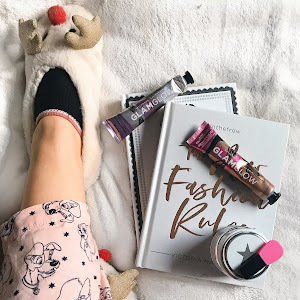 I think it is super important to pick products because of the benefits they can have to your skin and not just because it smells nice or is by a popular brand that everyone loves. When it comes to body washes especially we tend to just assume every single body wash out there does the same job and they should, of course, all have the number one job of cleansing your body, but they should also have other purposes especially if you have skin problems; body acne or spots on your body, dry patches, stretch marks, oily etc. The skin on our body should be held to the same standards as the skin on our face, so treat it with just as much respect. So which products do you love for your bath and body care? Do you care for your body care to the same extent that you care for your face skincare? Tell me in the comments below. 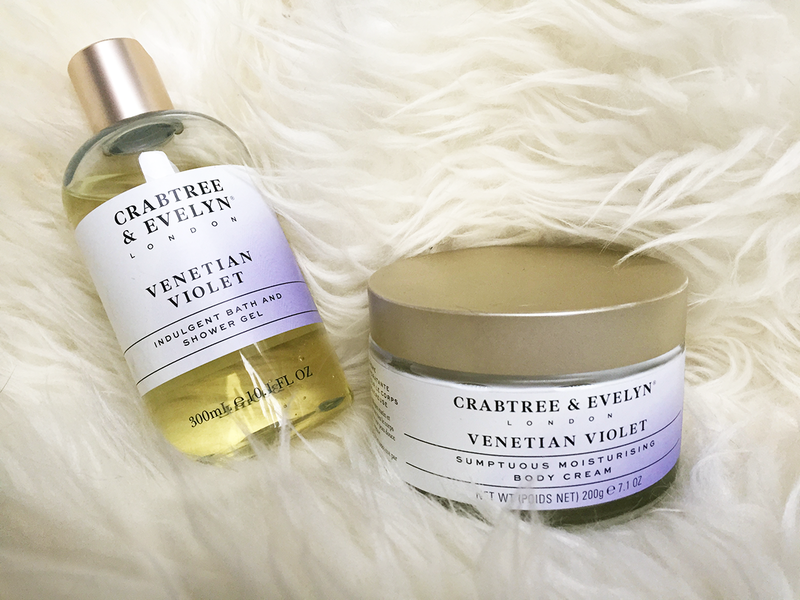 THIS POST IS WRITTEN IN COLLABORATION WITH CRABTREE AND EVELYN.